Warning: Drink at you own risk! You need to be informed. Take 30 seconds and watch whats in your favorite Starbucks treat. 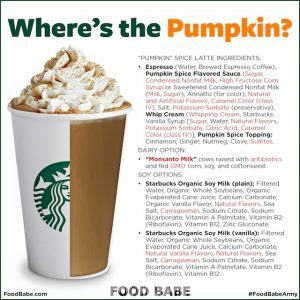 What’s really in Starbucks’ pumpkin spice latte? Hint: It’s not pumpkin.